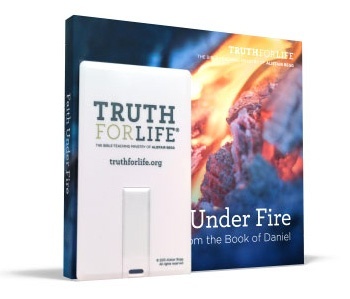 Special USB Offer From Truth For Life! Blog Special USB Offer From Truth For Life! It’s easy to become distracted and overwhelmed by the trouble in our world. Court decisions, refugees, and hostile governments can cause us to wonder if God is still in charge. Yet similar struggles have always existed and this brand new study from Alistair Begg in the book of Daniel reminds us that God sets up and removes earthly leaders, and His sovereignty reigns supreme from day to day, and from age to age. Request a copy for just $4.00 + shipping!